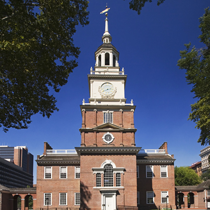 Counsel Press’ Philadelphia office was founded as part of Lutz Appellate Printers in 1977. Lutz was founded in 1960 and later acquired by Counsel Press in 1997. From this location we specialize in filing and service within the Commonwealth Court of Pennsylvania, Supreme Court of Pennsylvania, Superior Court of Pennsylvania and the United States Court of Appeals for the Third Circuit.